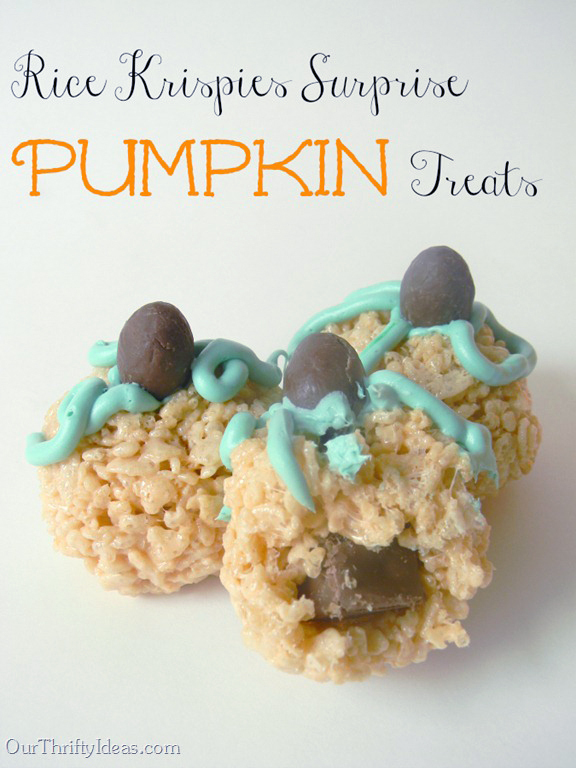 Halloween Rice Krispies made even better shaped as a pumpkin and with a hidden candy bar inside! At our house, Rice Krispies Treats are almost considered a staple. Healthy..not quite, but definitely on the delicious side of things! But when I was contacted by Rice Krispies to show you guys this new take on the treat, I jumped at the fact. To tell you the truth, these went FAST! They sent me this fun pack, and the directions for these pumpkin shaped treats with a surprise inside. 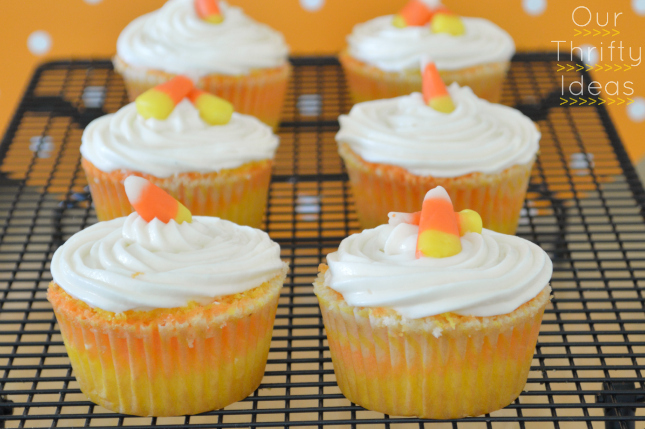 These are so easy and fun, the kids will love helping out! Start by melting the butter/margarine over low heat in a large saucepan. Add marshmallows and stir until completely melted. Remove the saucepan from the heat and add the orange food coloring. Stir in Kellogg’s Rice Krispies cereal until well coated. Using a greased 1/2 cup measuring cup, measure out 12 portions onto wax paper. While still warm, form the Rice Krispies mixture around the candy bar into the shape of a pumpkin. Once the treats are cooled, pipe the green frosting on for leaves/vines and top with a stem. We did only make 10, and saved a bit of the treat to roll out and cut out bat shaped treats (pictured on the candy sticks above), thinking the kids would like it. And although they did, they loved digging into the pumpkins and discovering their special treat inside! These look delicious! I think my daughter would love to help me make them too! My 3 year old was standing beside me when I looked at this and she started begging for these for breakfast. Sounds like my sort of morning! Mmmm, yummy! My kids would love these! These look so yummy! I would have never thought to put a surprise in the rice krispies, but then again, I can’t ever get mine to be soft when I make them. 🙂 Maybe I’ll have to try this, I’m sure my boys would love it! What a great idea. We will be trying these for sure. Perfect treat for the kids to help with. This looks really fun! I think I might have to try them with my little man! He loves helping me in the kitchen! Those are really cute… and I am sure they are good. Is that your son? He is adorable! What a darling pic of you and the little man! So cute! My girls also love making rice krispy treats…they’d love these little pumpkins and the bats as well! I love making Rice Krispie treats at this time of year with a little pinch of pumpkin pie spice! Those are too cute! I like cutting out the treats with spooky cookie cutters for Halloween. And then I eat the leftovers so it’s really a diet fail on my part, lol. I like Rice Krispie Treats made into Bats and Pumpkins for Halloween. Love adding some pumpkin pie spice to Rice Krispie treats! The standard rice krispie are our favorites – nothing fancy in our house. Recently my daughter did make hershey kiss shaped rk treats. Formed the “kiss” in a funnel, wrapped in foil and added a tag. It was really cute. 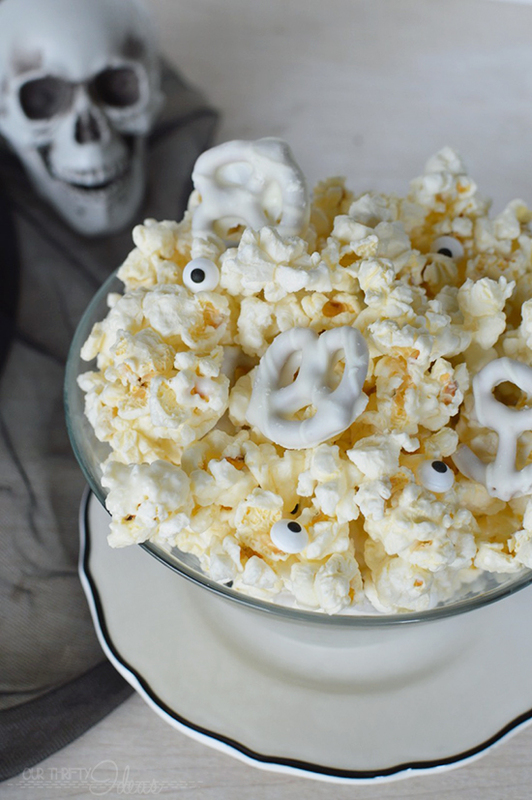 We have only made the plain rice krispie treats before, but I really want to make these ones now for Halloween! So cute!!!! So fun. I love the surprise inside! !